Tomorrow will be the last trading day (LTD) of September. 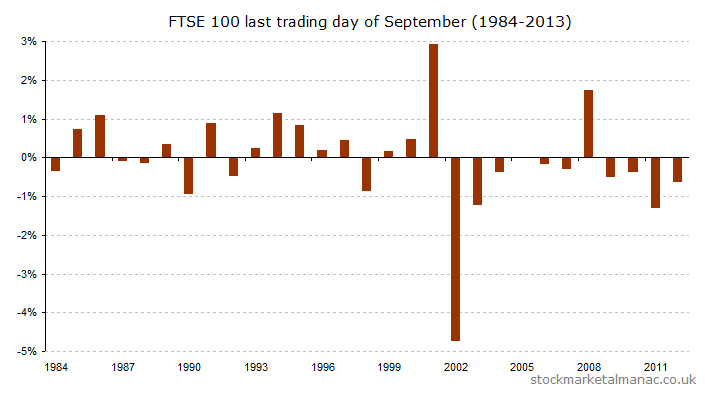 Since 1984 the market has on average fallen 0.07% on the LTD of September, which makes it the second weakest LTD of the year. And returns have been positive in September since 1984 in only 43% of years. 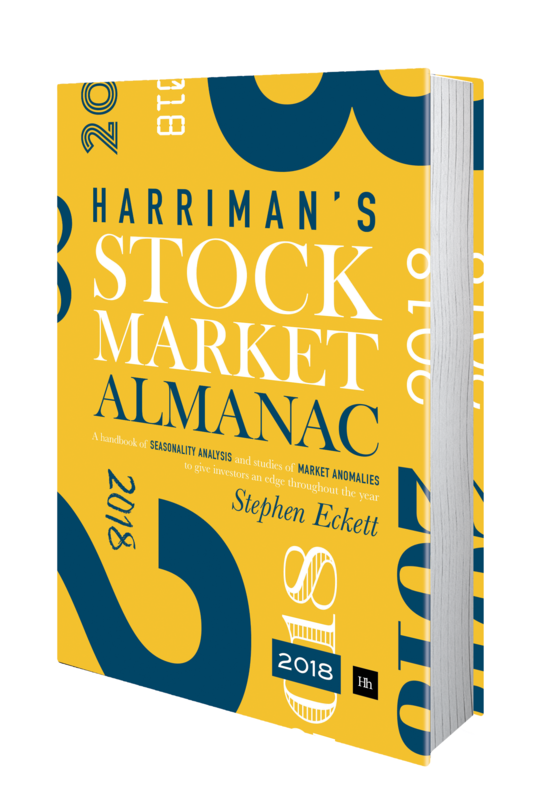 Since 2000 the average change on the September LTD has been even weaker at -0.38%, the market has only risen three times in the last 14 years on the this day, making it the weakest LTD of all. This entry was posted in Day analysis, Market, September and tagged LTD, UKX by Almanacist. Bookmark the permalink.